The Pacific Northwest has always been an incredible place to explore, and sometimes it goes beyond people’s expectations. 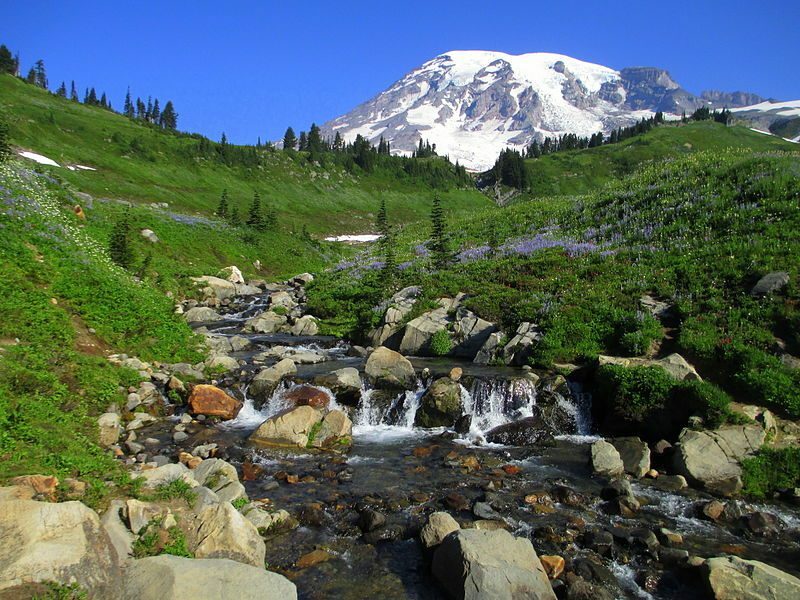 Mount Rainier National Park is one of those awe-inspiring areas, located in the west-central part of Washington state. 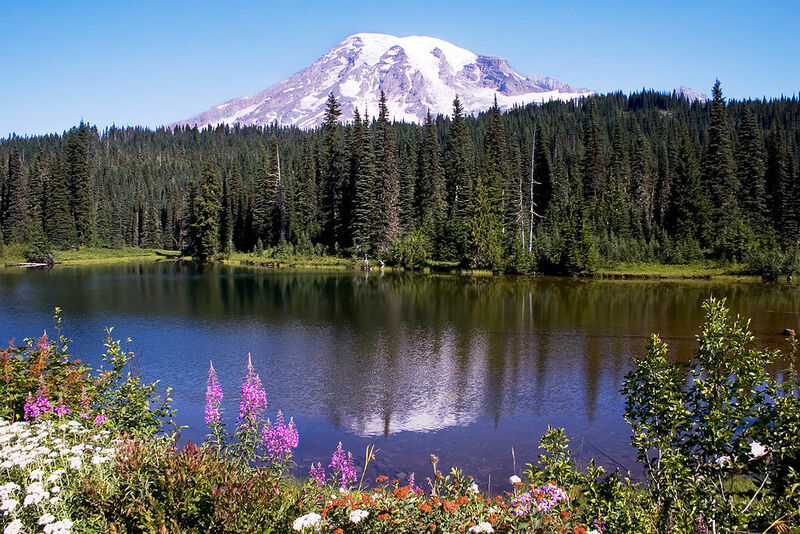 Established in late 1899, Mount Rainier is the fifth official national park in the continental United States. It covers an area of 369 square miles from which 97% is unspoiled wilderness. Mount Rainier is in the center of the park, so it can be seen from all sides. It’s the highest mountain in Washington, very often hidden in clouds because of the tremendous amounts of rain and snow throughout the year. Mount Rainier is one of the most dangerous and massive stratovolcanoes on the planet, which is one more thrilling reason to visit the park. As soon as you enter the park and you pass the gift shop turn around and treat yourself with a mesmerizing view of the of Mount Rainier’s peak, showing among the clearing clouds. If you visit the park early in the morning, a slow reveal of the mountain is what will make your adventure even more exciting and keep you in a constant mood of expectation and joy. When the peak starts revealing you will feel both, happy and overwhelmed by the view at the massive Mount Rainier. The beautiful thing about the park is that you can spend a night here and reserve one of the 173 sites in the Cougar Rock Campground beforehand. In fact, if you are too lazy to do a few clicks online and make a reservation, you can also find a free camping site if you just go there. Sometimes, there are free spots even during holidays and weekends. Cougar Rock Campground provides pits to make a fire and cook your meals whenever you set your camp. Also, there are other two campgrounds that you can book depending on where you want to be settled and what hikes are close to you. Choose your camping site according to your hiking plan. Visiting Mount Rainier is way different than going alone. If you go in a group, the things get complicated, starting from hiking skills to choosing the camping meals. What’s good about the park is that you can choose between the plenty of easy 1-3-mile trails in case you go with lazy people or kids. All trails in the park offer spectacular views of beautiful nature including rivers, streams, and powerful waterfalls. So, there is no need to worry. You will see the most of it and make epic pictures no matter how long are you hiking and where’s your campsite. Some of the best short hikes that will make the entire group happy and satisfied are the 2,5 miles Bench and Snow Lake Trail and 1,3 miles Grove of the Patriarchs. 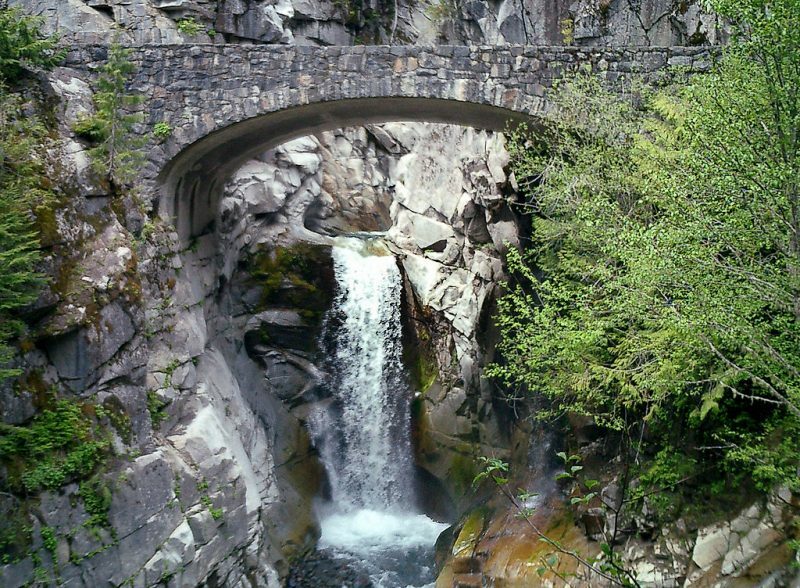 For all of you who are craving to see some majestic falls, the 3-miles Silver Falls trail is a perfect short-trail choice. If you want something even shorter, then Narmada Falls & Christine Falls are directly accessible from a parking lot. What more can you ask for? 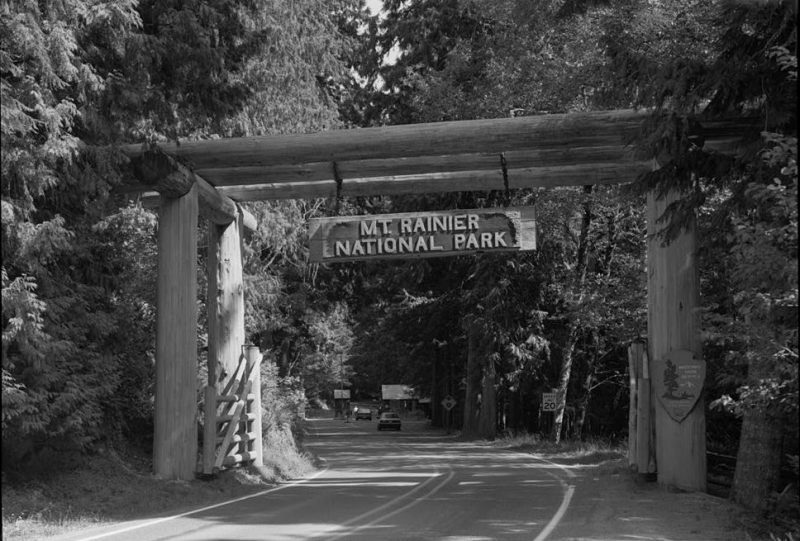 If you live in Seattle or Portland, then Mount Rainier National Park is a perfect weekend getaway for you. A perfect spot for all nature lovers and outdoor enthusiasts that need something more than just a walk in a park. Extraordinary forests, countless miles of trails, and a majestic volcano that spreads its tremendous power through the undergrounds of the mountain are things that can’t be missed. By visiting this park you and your family/friends will learn what the true force of Mother Nature is and how important is to appreciate it. Good luck!